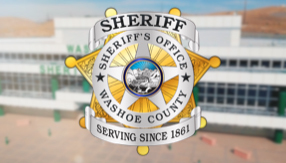 The Patrol Division of the Washoe County Sheriff's Office is responsible for all law enforcement duties within the unincorporated area of Washoe County - an area of over 6,700 square miles. Historically, these duties were concentrated primarily around the central core of Reno and Incline Village. However, in recenty years, the housing market trend has seen the development of large-scale planned communities in areas such as Spanish Springs, Golden Valley, Cold Springs, South Meadows and Pleasant Valley. The Patrol Division also provides resident deputies in the Incline Village and Gerlach areas. Resident deputies provide a stong basis for community interaction and response to these more remote areas of our county. A Motor Unit rounds out Patrol's team. The Motor Unit's primary functions are to provide traffic enforcement and investigate traffic accidents. The Incline Village Substation is a full-service satellite station, which can provide all necessary law enforcement services to the citizens of Incline Village and Crystal Bay.